This luminous and trendy 2 bedroom apartment with 1 bathroom is located in the neighborhood San Giovanni, which is considered the authentic Rome. This room is perfect for people who are interested in classical architecture but want the benefit of having a nightlife in this beautiful and historic city. Another benefit of this room, besides its nightlife and the dim-lit wine bars, are the shopping opportunities offered on Via Sannio. 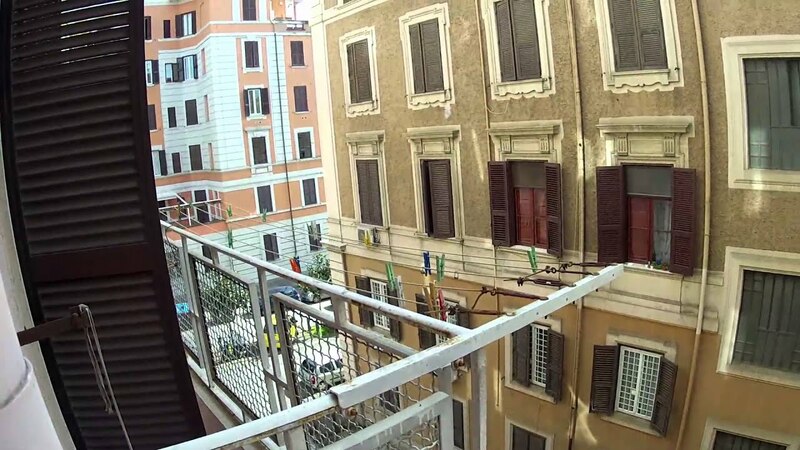 This apartment is a 16 minute walk from the Basilica de San Giovanni and a 12 minute walk from the Coliseo de Roma, which is called the Colosseum for short. The area of this apartment is 55 m². Bedroom 1 has a private balcony where tenants can have a quick coffee. This apartment is humbly decorated and has great natural lighting. It is within walking distance of Rome's greatest monumental structures. The apartment and the room have abundant storage space. It is well equipped with a stove and a washer. The apartment is a 6-minute walk to bus lines 2 and 1085 and tram stop for line 9.